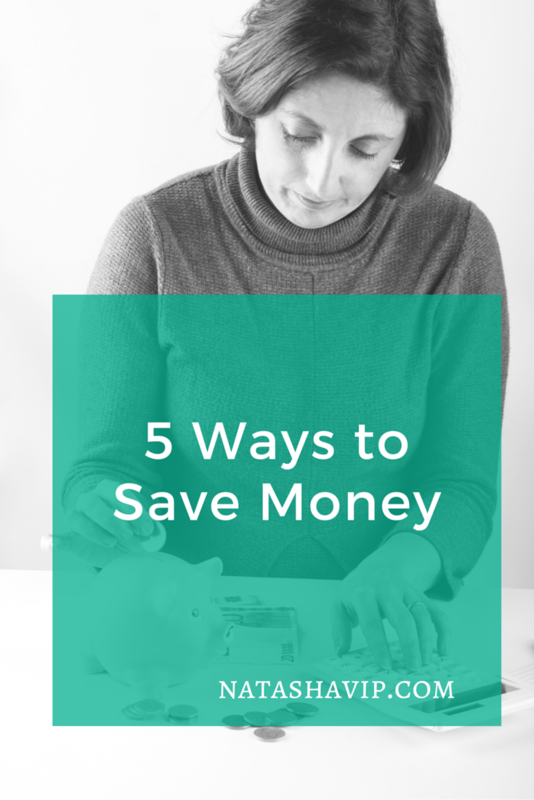 There are more than 5 ways to save money, and we could pick any of them as a start. As a single mom, the 5 examples listed here are a must and should be practiced early and often. It is very important for single moms to save money not just for emergencies but for our future. For any household, especially a one income household, having savings in the bank provides security, comfort, and a peace of mind. If anything stops working or your car needs repair, having savings can mitigate some of the stress that comes along with disruptions in life. Furthermore, the earlier you start saving for your future or retirement the better. Even with the responsibility of paying bills, we must pay ourselves first…SAVE! Put these 5 ways to save money into action today! You can put in a request with your employer’s Human Resources department to split your check. You can have an amount put into your checking account and the remainder put into your savings account. Also, you can automate your savings yourself by setting up the service through your bank. You can designate the amount to be automatically transferred from your checking to your savings account. Plan your meals by preparing at least a weekly meal plan. You will know exactly what you need to pick up at the grocery store instead of going in there buying items that you may not need. This can cause you to overspend quickly. Try to limit eating out as much as you can. Think about ways to prepare food that saves you time and money like crockpot meals. We know that things come up that may cause us to be late on a bill. But those times should be very few in number. When we’re late, more than likely, a late fee will be added to the bill. That is money that could go toward savings. Just don’t do it! Don’t give yourself excuses for it. 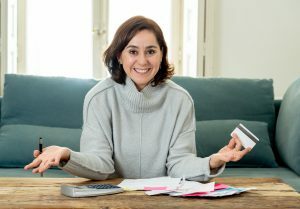 It’s very hard to get out of credit card debt once it’s racked up. The potential fees and interest rates along with your payment eats away at your money that could go in your savings account. Create a budget. Stick to that budget. Save for what you need and want. Save for emergencies. Doing the above mentioned things can lessen your chances of having to use a credit card. When you receive raises on your job or if you increase your pay as an entrepreneur, send that money directly to your savings account. It’s so easy and tempting to increase your living expenses by buying a new car or bigger house. Hold off on those purchases. Build your emergency fund. Save for your future. 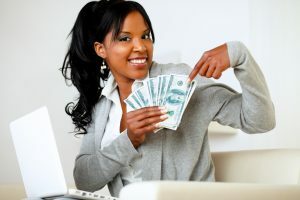 What advice can you give to single moms about saving money? Comment below! As a single mother, this website will officially be my go to when it comes to single motherhood! Excellent post. I’m so glad to know this. Thank you Shayla! SO many great tips here that all of us can take to heart–especially re: save raises (don’t increase lifestyle/spending). I admit to having a bit of a hard time with myself b/c I like to treat myself every now and then. That said, I don’t have as much in savings as I’d like and I don’t want to worry about the future any more than I should. Thank you Charlotte! We aren’t going to worry about this but simply just do what we need to do. Thank you Cynthia! There is so much freedom in having no debt. I’m starting a $500 emergency fund challenge in January. Hopefully, that will give moms a boost they need to get started clearing out debt. Great tips! I especially like the one about paying bills on time. I’ve set almost all of mine to automatic, so I don’t forget. I absolutely hate paying any kind of late fee. It’s just a waste of money. Your blog looks great, by the way! Thank you Shann Eva for your support and compliment! I hate paying those pesky late fees too. Such a waste of money. Good points. I’ve got to get this meal planning thing down. I used to do it, then I let it go and can’t seem to get it under control again. I’m working on a new way of meal planning that I hope will work for us. It’s so stressful for me going to the grocery store sometimes…LOL! These are awesome savings tips! We have saved so much money lately by only eating out once a week. It’s crazy how much money can be saved just by eating at home, even for two people. Right! I was bad about eating out with my little one and we racked up a huge amount per month doing that. Had to stop! I’m not a single mom but I do think you’ve given some great tips. Even as a two parent home, I find it HARD to meal plan so that one is trying for me. I’ve tried it a few times and it just never works for me. I’m not sure if it’s because I have a lot of picky eaters in my house or I, myself, always wants something different other than planned. These are great tips. Now you know I don’t like clothes shopping! LOL But my girlfriend introduced me to thrifting and it’s been a great experience, when I actually do it! LOL These thrift stores have great quality clothes for prices significantly less than retail. Park Avenue Thrift Outlets have clothes for as low as $.25 on certain days! I’ve found items still new with tags! You definitely need patience to browse through the items. But the finds make it worth it!